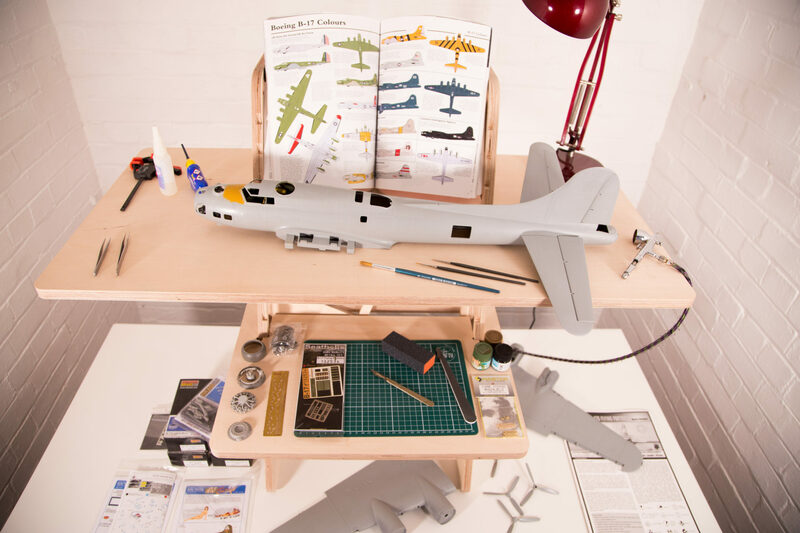 When I was 7 years old, I had some birthday vouchers to spend so Mum dutifully took me to the toy store where I spent probably an irritatingly long time agonising over which model kit I wanted to buy. I remember that my eyes were way bigger than my ability in model making at that age and I selected a huge kit of a white Landrover Defender as it was the biggest model my vouchers could afford. 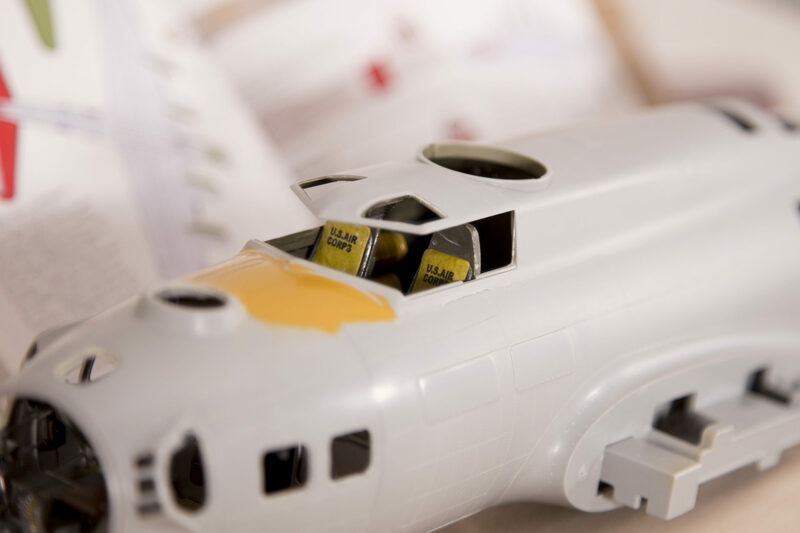 I slaved away with the polystyrene cement for days making a right mess, but eventually my kit was complete and stood pride of place on my parent’s sideboard… that was until two days later when my five year old brother threw it on floor smashing it to pieces. How I cried. 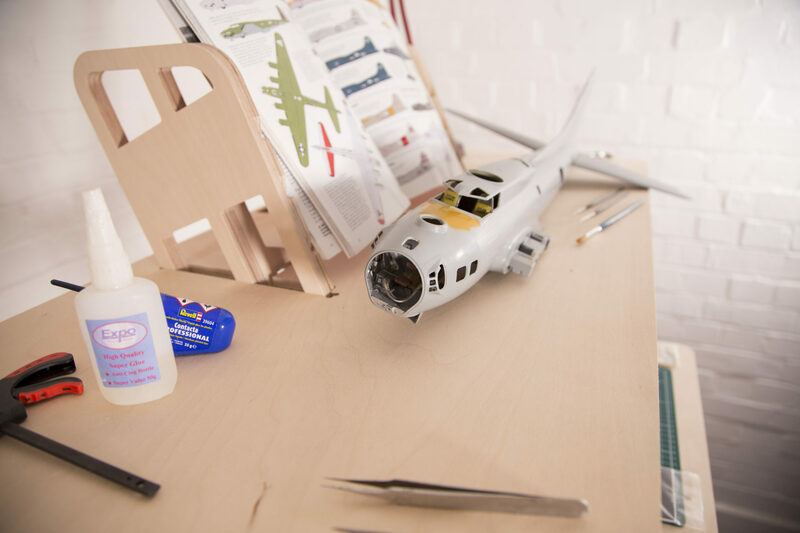 Fast forward 30+ years and I still occasionally build the odd model, but funnily it is my brother who is the real model making enthusiast, amassing a huge stash of rare and exotic model kits and building rather than smashing them these days. 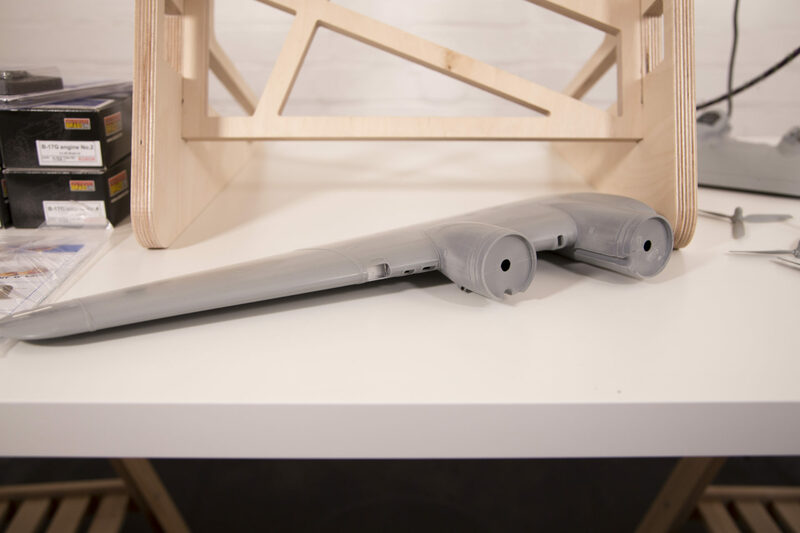 My interests focus on designing larger objects for Helmm and I spend most of this time at a computer, hence why I initially developed standing desk prototypes for the computer user market. 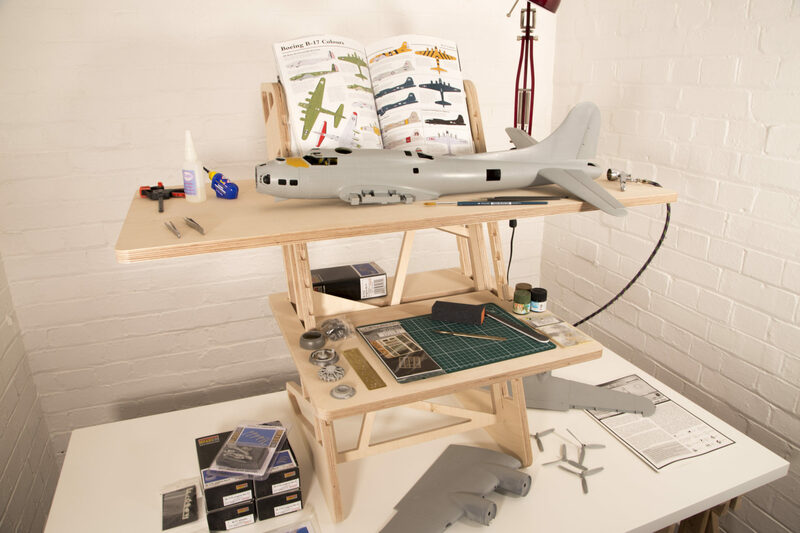 However, it was always in the back of my mind that the desks I design would be useful for detail work such as model making, jewellery, electronics and much more. 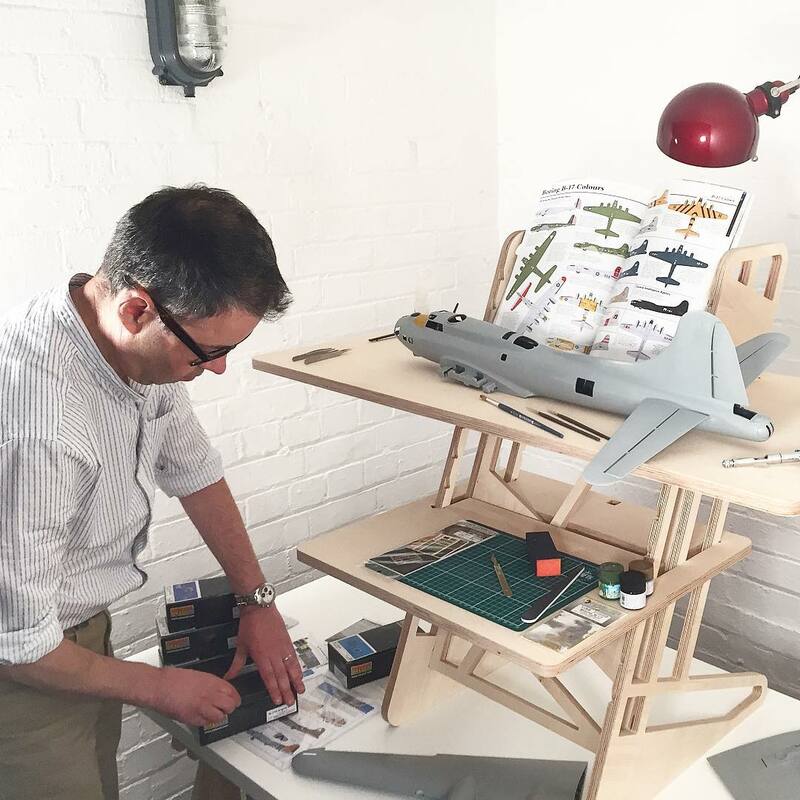 The moment Iain locked eyes on the first prototypes of the S-Desk standing desk he saw them as the perfect workbench for model makers. He was immediately taken by how much work area and extra space you gain by going ‘up’ on top of your existing desk and immediately saw the benefits of transforming a mostly sedentary activity into one which was actually beneficial to the human body. Double win! 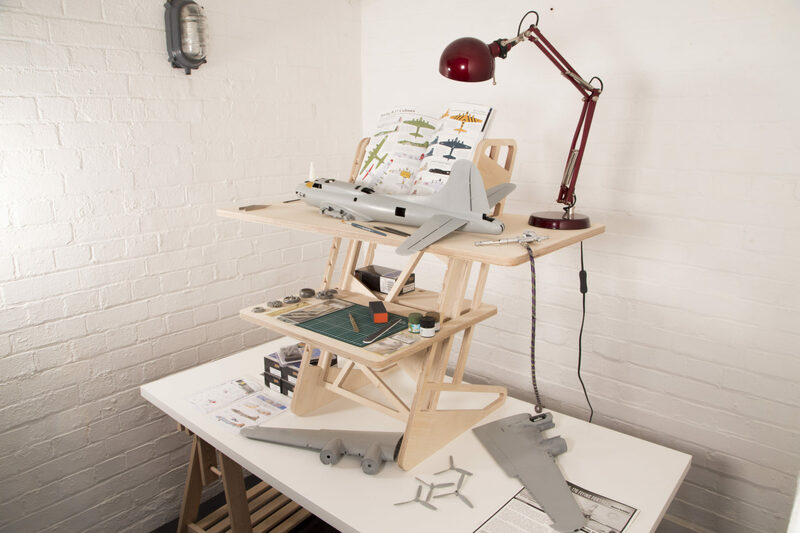 We had lots of conversations about possible model building workstation setups and delved into the model makers mind to make sure the S-Desk was really suitable. Sturdy – check. Adjustable heights – check. Adaptable – check. Plenty of work area – check. Ability to bolt on extras – check. 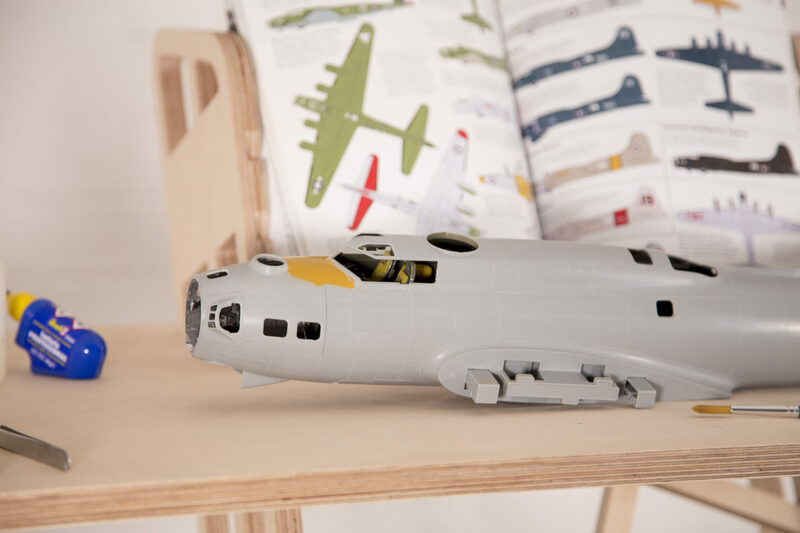 We mused over how the shelves could be configured to give you multiple work surfaces, using the desk level for storage and basic assembly, the middle shelf for more detailed assembly and preparation, and the top shelf for eye level detail work on the main model. 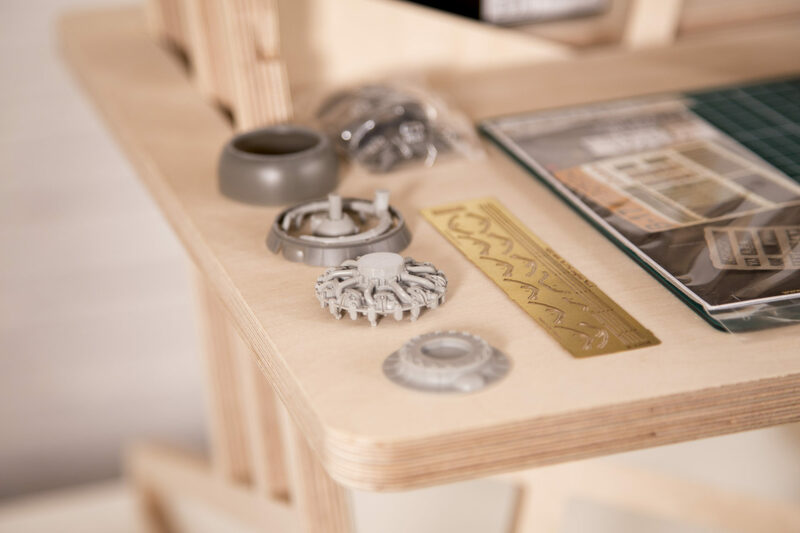 Our conversations have got me thinking and I have already started sketching out plans for a few accessories that will make the S-Desk the ultimate model makers work bench.